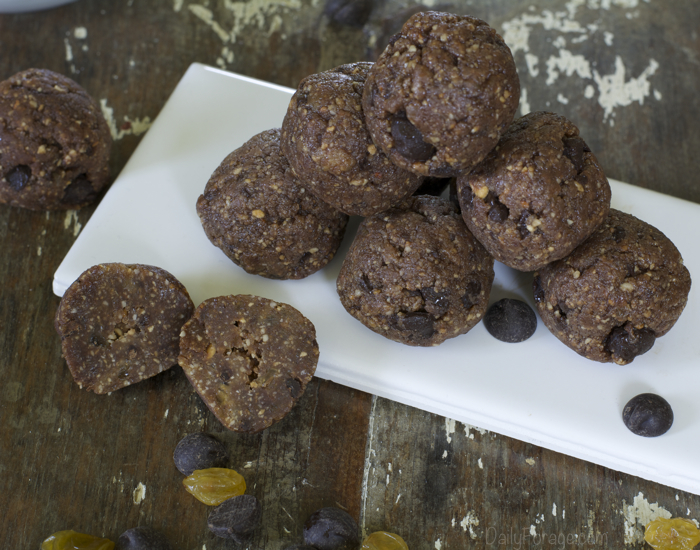 … Nutritional Energy in a Delicious Treat! 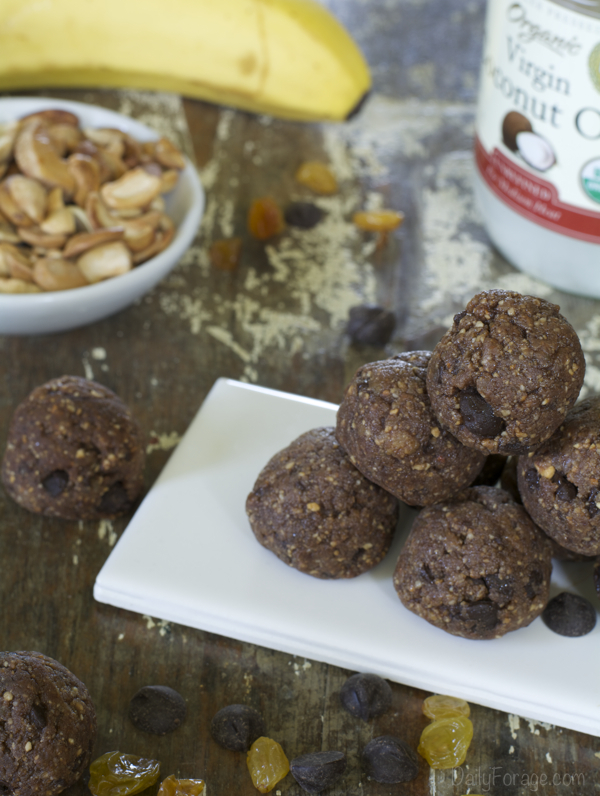 Whether you’re hitting a mid-afternoon workday slump, you’ve been chasing kiddos around and you need a pick-me-up reward, you’re training for a 5K (or longer), or you just like having a treat that you know isn’t going to break the “nutritional” bank, these Chocolate Cashew Protein Balls are just the ticket. 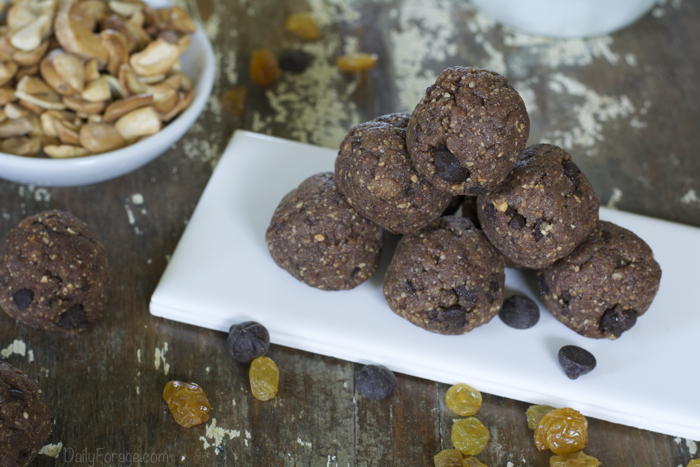 Keeping with the theme of gluten-free, dairy-free, vegan energy balls, similar to my Power Balls recipe, these little bites are also free of soy, peanuts, and corn. I’m excited that they also fit into the grain-free snacks category and get their sweetness from raisins and banana (and a tiny bit in the dark chocolate chips). Unsalted cashews allow the recipe to stay low-sodium (you decide how much salt you want to add – I did just a small pinch), while providing abundant healthy, good-fat protein. 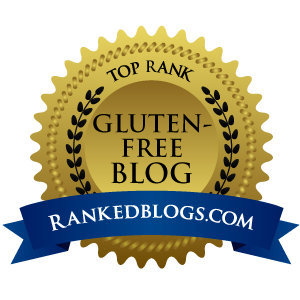 Happy, healthy, nutritional snacking … I like that! 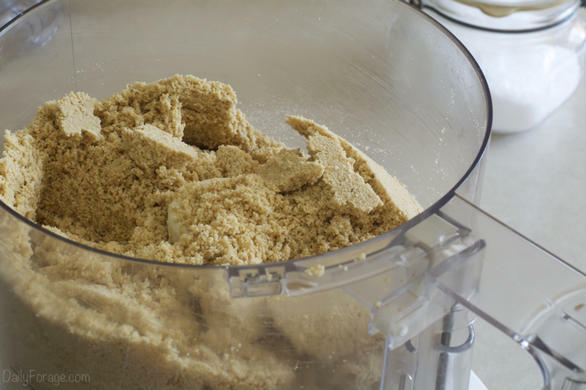 Grind cashews to a fine powder in a food processor. Add salt and pulse to incorporate. Add raisins, banana, and oil and process until well blended and ingredients stick together. Add chocolate morsels and pulse a few times to break up and incorporate some of the chocolate, leaving some morsels whole or in large chunks. Scoop dough into 1 ¼” balls (I used a #60 scoop) and place on foil-lined rimmed baking sheet. Freeze for 15 minutes. Balls are ready to enjoy. Store balls in a plastic, resealable bag and keep in freezer. Serve straight from freezer or allow to “thaw” 5 minutes at room temperature. *I buy raw cashew pieces at Trader Joe’s and roast them in a 350ºF oven for about 7 minutes (convection bake) or 12-15 minutes (standard oven), or until golden brown. Allow to cool to room temperature before processing. Raw cashews have no added salt or oils added to them. This allows for adjusting according to your preferences. Purchasing roasted cashews will work too.